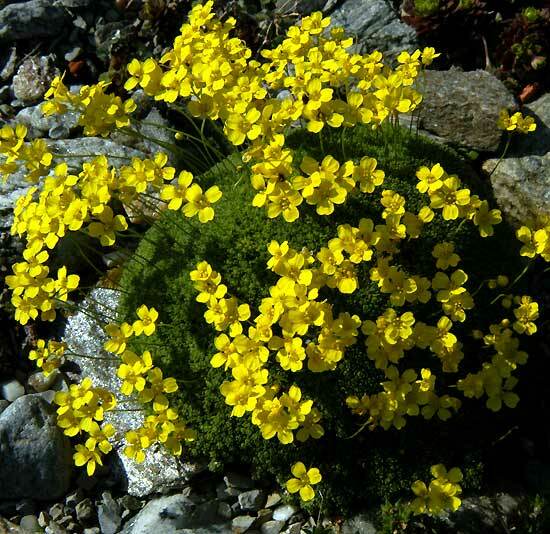 Draba rigida v. bryoides – This beautiful species from Armeria and Caucasus grow in rocky places. It is a plant for a sunny stone through. Hardy and spring flowering!